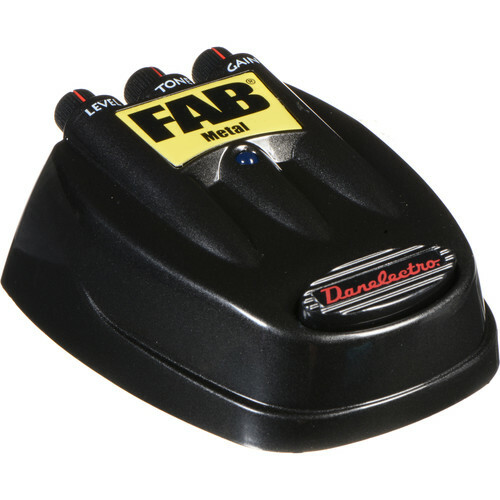 The FAB 3 - D3 Metal Pedal from Danelectro is an affordable stompbox for guitar that packs a ton of distortion and sustain into a small package. The pedal can be powered by a 9V battery or by an optional power supply. Box Dimensions (LxWxH) 4.4 x 3.9 x 2.2"